Kale on toast: again a peasant dish, again we want to present you an Italian food-for-all-ages! This simple but really interesting recipe is really good, and reminds us the faboulous bruschetta recipe! Kale on toast is also a really ancient food coming from Tuscan tradition. With four slices of bread and a pound of kale you could make a really good “antipasto”. What we need to make our toasts? We start with 500 g of Kale, a Tuscan-style bread, some garlic and olive oil, salt and pepper. Here is the directions: take about 500 g of black leaf kale, cut out the tough ribs of the leaves, and wash the remainings. Remeber to boil the leaves in a slightly salted water just until they are done or just blenched it. The kale will wilt; so use as little water as possible. Do not leave it, too much in the boiling water, but just the leaves are done and tender. Once the kale is cooked well, you should drain it and put aside the liquid, and finally chop it. Then, cut several slices of the Tuscan-style bread, toast them quickly, cut them in half. And now it comes on the stage the secret: the garlic is the king! You should rub the slices of bread with a nicely cut clove of garlic! Have you done it? Now do not forget and dip them in the pot liquid, let the slices absorb the waterly mixture and arrange them onto the plates. 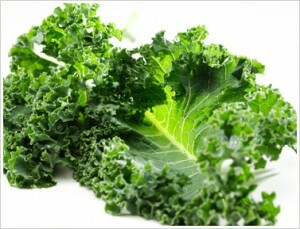 Finally, put the kale’s leaves on top of each slice, spread a good extra virgin olive oil, season with pepper and serve. Eventually will be good also to put some chilly peppers: just a few slices to top it all and buon appettito! This entry was posted on Monday, April 30th, 2012 at 5:40 pm	and is filed under Italian Recipes and Food. You can follow any responses to this entry through the RSS 2.0 feed. You can leave a response, or trackback from your own site.